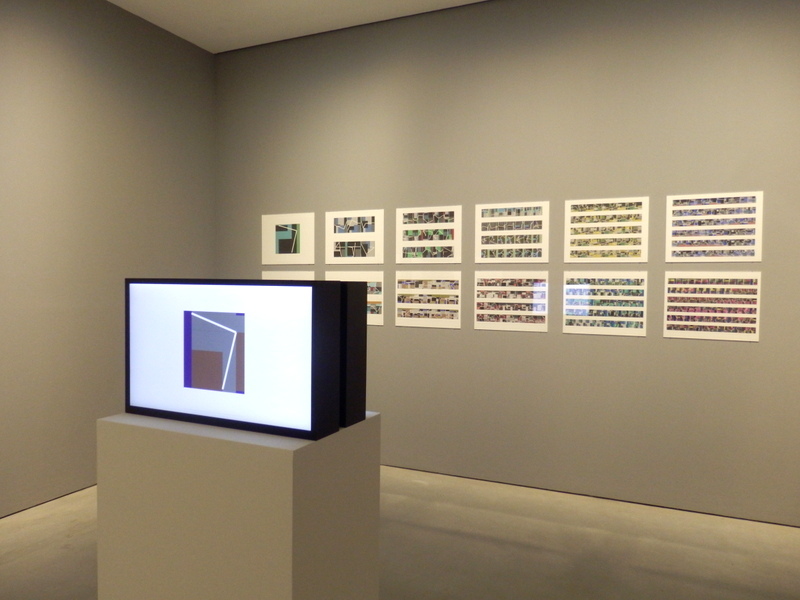 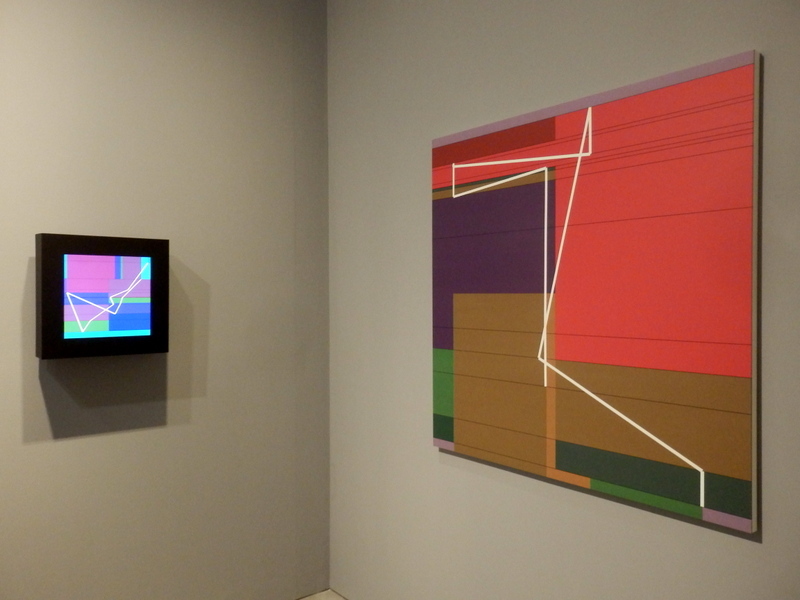 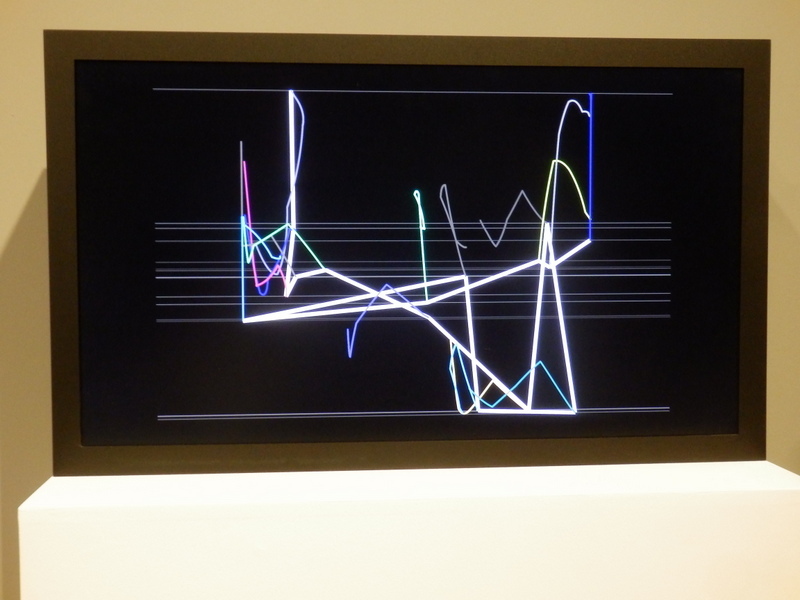 The art of the digital line – Manfred Mohr at Carroll/Fletcher London. 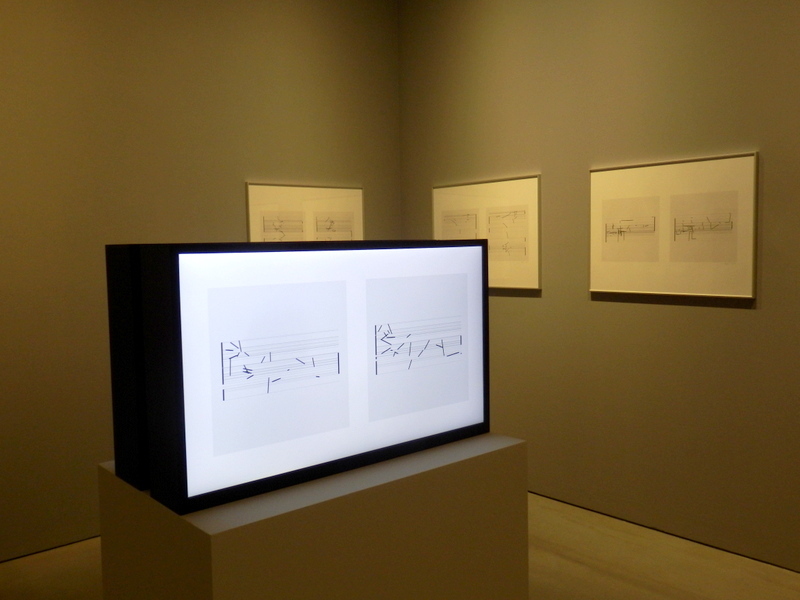 You are here: Home / The art of the digital line – Manfred Mohr at Carroll/Fletcher London. 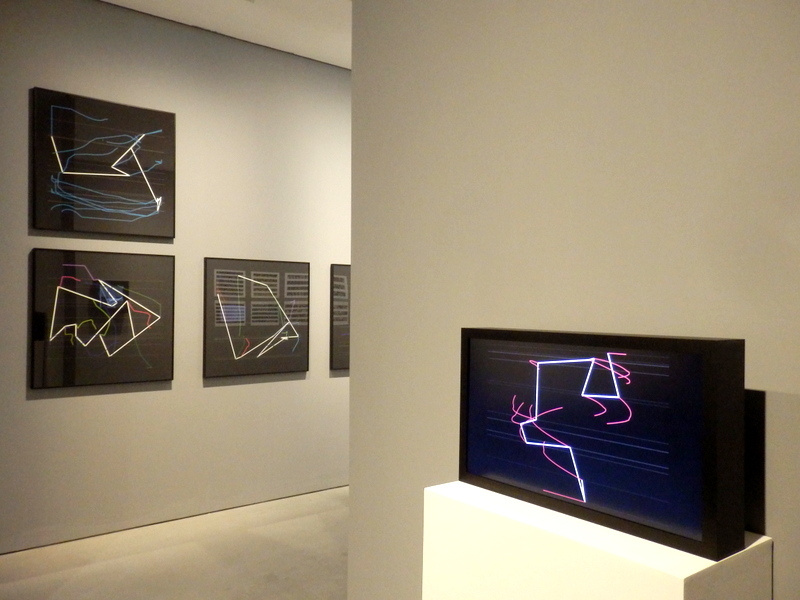 Coloured lines move and pulsate across the computer screens, drawn by invisible hands. 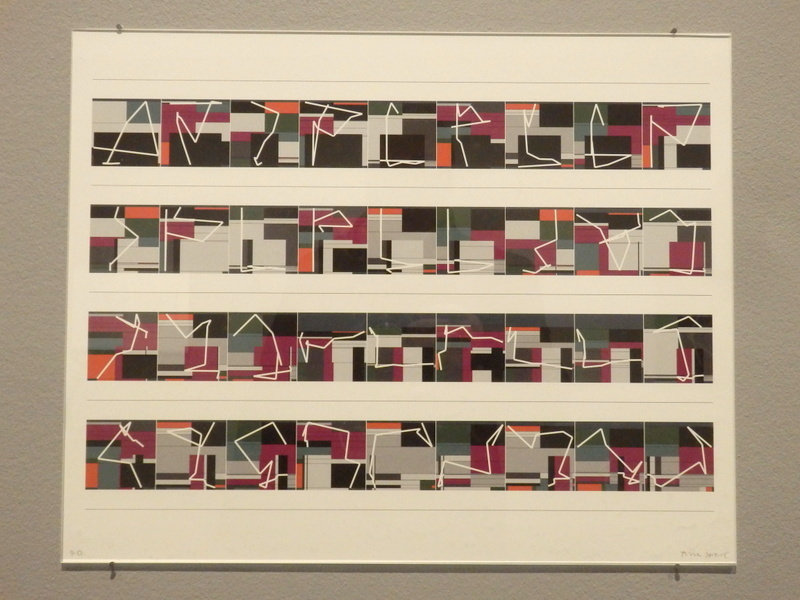 Manfred Mohr’s early career was as a jazz musician and an “action painter”, both of which allow free expression and breaking of established rules, though he became more interested in logical sequences and algorithms in his art and it therefore seemed a natural progression to move into computerised/digital art. 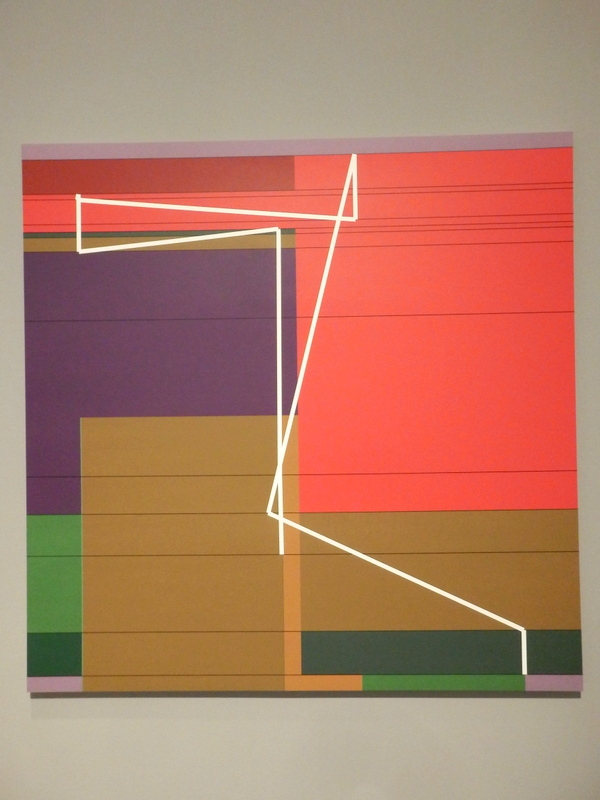 He does so in a way which the rhythm of jazz still pulsates through the apparently random and unpredictable computerised images, often derived from the geometric shape of the cube. 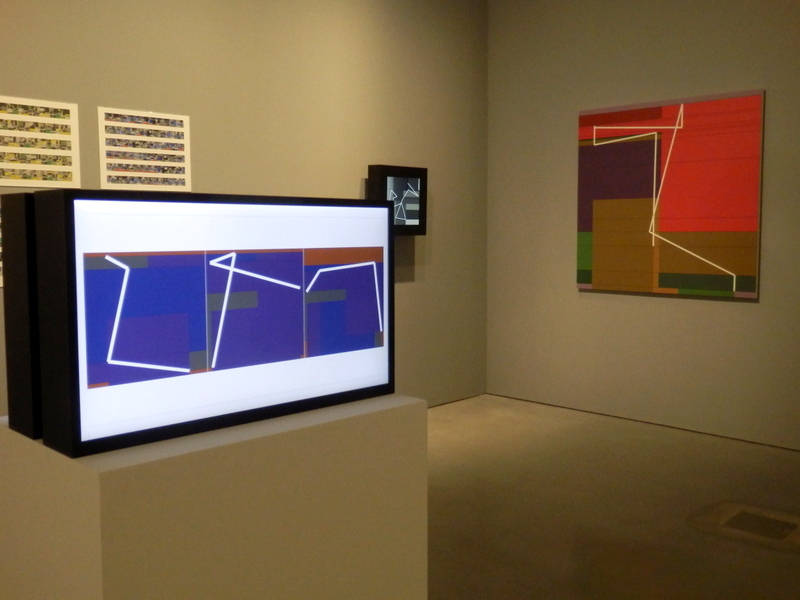 His current exhibition combines computer imagery with the resulting screen-based works, drawings and paintings and is a complimentary extension to “Line” - the Lisson Gallery and Drawing Room exhibition on drawing.